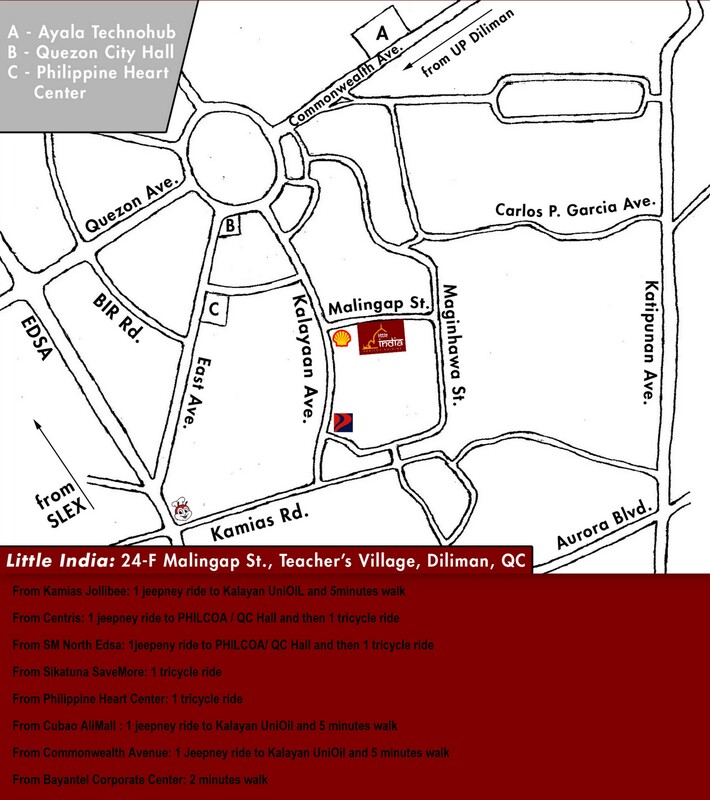 Ashoka Enterprise (Little India Healthy Cuisine) is a sole proprietorship business entity operated in Los Banos, Laguna in 28th January 2013, and in the succeeding year of 2014 was replicated in Quezon City, Metro Manila. Ashoka Enterprise (Little India Healthy Cuisine) offers pure authentic Indian vegetarian and vegan home-made style plant-based dishes. It is known for its unique preparation and great blend of natural herbs and spices. Weavoid uses of any artificial or chemical colors, flavors, preservatives and additives. Little India Healthy Cuisine is an ideal place not only for vegans and vegetarians, but also for those who are looking for authentic Indian home-made taste. “Little India” is a registered trademark of Ashoka Enterprise. Our mission is “to strive for excellence to offer a healthy Indian vegetarian food option for mass of the people by using 100% natural herbs & spices and develop a model to replicate in multiple locations through consistent learning and training of the team.